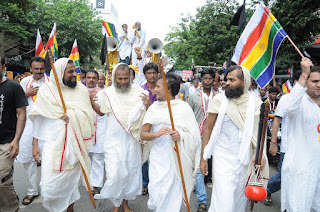 Our Correspondent ● Kolkata: The Jain community of the city will join the rest of their brethren tomorrow, in a silent rally to protest the Rajasthan high court order to ban Santhara, a century old tradition. Rajkumar Sethi, working president of Digambar Jain Mahasabha, clarified that Santhara, also known as Sallekhana, is a highly respected practice among Jains. The Rajasthan high court, in its 10 August order, had labelled the practice as ‘suicide’ while disposing of a public interest litigation filed earlier in the month by lawyers Madhav Mishra and Nikhil Soni. 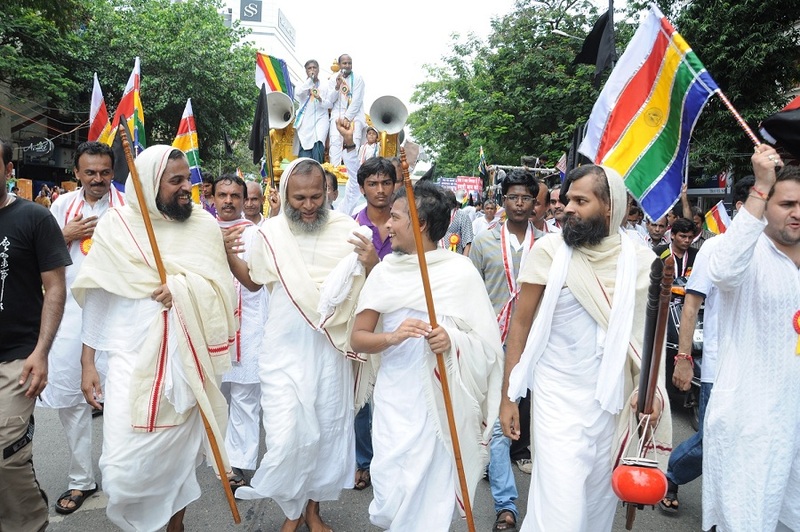 Narayan Jain, former member of West Bengal Minorities Commission, said: “Religious freedom of Jains enshrined in the constitution of India should not be tinkered with. Jains, moreover, are now a minority community at the national level. Their religious practices must be shielded.” He even criticised the high court order and said: “Santhara means voluntarily giving up food. It is a festival to attain death with the consent of the person’s entire family.” It is a very holistic practise, and not equivalent to committing suicide, he added. Manoj Jain, coordinator of the community’s programmes in Kolkata, informed that the rally will start from the Jain Temple at Bysack Lane around noon. It will cover Hariram Goenka Street, Kalakar Street, Mahatma Gandhi Road, Brabourne Road, and India Exchange Place, before concluding at Esplanade. The rally has been termed as ‘Dharam Bachao Aandolan’. The Jain community will also file a petition before the Supreme Court after two weeks from tomorrow. All Jain shops and businesses will remain closed tomorrow. Even the students won’t attend their respective institutions as a dissent against this ban. Santhara attracted the country’s attention in 2006 when 93-year old Keila Devi of Jaipur, who otherwise had no ailment except some typical old-age problems, decided to observe the ritual to attain moksh (self-emancipation).